Home UX/UI Design Tools How To Decide Who to Work With? Some UX agencies in San Francisco have real industry legends running them and can present hilariously prestigious clients. Others will provide you with junior people for huge piles of cash to do one of the most important jobs in your business. Finding “the best” company to hire doesn’t necessarily mean hiring the hippest company in the Bay Area. If you want to find the coolest guy in town, this won’t help. I’m going to talk about choosing a team that will deliver you a great digital product experience. Something your customers will love. And trust me, the best guys don’t have the huge office and awards in the lobby. These humble pros do their job day in day out, designing products and teaching others how. These teams like to write about how they do design and hate to do music video–style showreels. 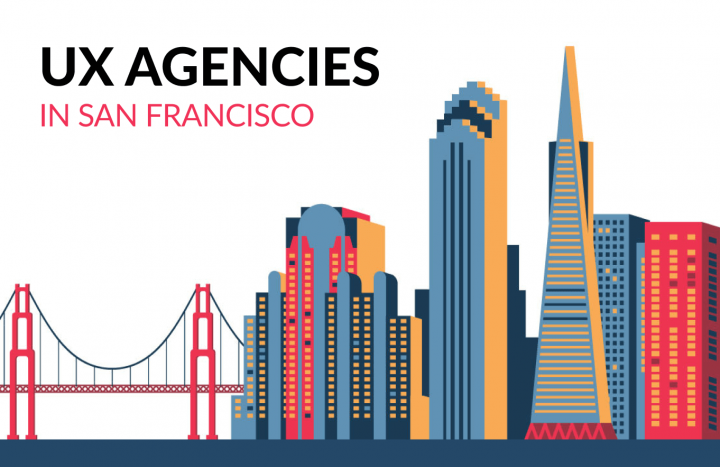 These strategy and UX agencies count among the best kept secrets of San Francisco companies. And we can find most of them outside of Fog City. Before we dig deep in how to choose the UX agency you hire, I will just put here a list of the top design firms hired by companies in San Francisco. So, all these companies operate in the Bay Area? — No. Although San Francisco companies hire these UX/UI agencies most often, they don’t necessarily have physical headquarters in the city. They use UX/UI agencies outside of the area for numerous reasons. Over the last few years, the best teams have come to follow a basic strategy of hiring remote teams. Some of the most successful companies with headquarters in the Valley hire UX design firms outside of SF. A few well-known examples: Google, Netflix, HBO, Starbucks, Stanford and even NASA. To understand this trend, we should take a look at the price structures. 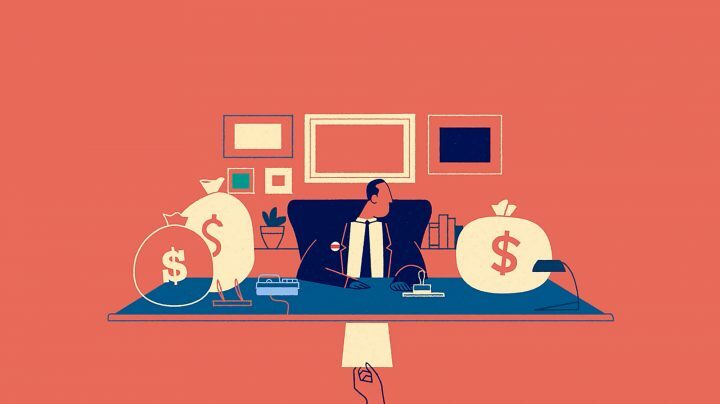 Why do San Francisco–based agencies cost so much? UX agencies located in the Bay Area generally charge more than top dollar. Everyone in the tech industry knows this open secret. Several reasons lie behind this fact. People living in the city have many good job opportunities in the tech sector, and this drives their salaries up. As its cost of living also ranks among the highest in the world, I don’t have to introduce its housing crisis to anyone. Super ambitious startup guys also surround agency founders, and we can read in the news about the profits some booming companies achieve every single day. Feeling like second-class citizens, they try to charge more and more in a race for profitability with the giants like Google, even though they will never stand a chance of winning. As of course price makes up just one thing, the real question remains: What value can you get for it? Even though it doesn’t come cheap, you would rather trust your product design project to the best in the industry. So will you get that much more value for your money? Do they really provide that much value? And, here, we arrive at a kind-of taboo topic very rarely discussed in public. User experience agencies there actually compete directly on the job market with some of the most powerful corporates of the world like Apple, Google, Facebook and Microsoft. When a great designer looks for a job in San Francisco, they get a warm welcome in all these companies with high salaries and cool perks. They wage the war for talent more intensely today than ever before. And the big, successful companies do everything they can to lure the best talent. As a result, agencies by the Bay find themselves in a very difficult situation, so they usually hire junior people. A huge gap stretches between UX agencies inside and out. While they almost always hire junior people inside, agencies in other places can attract the best local talent. Most companies today choose to work with remote UX firms so they can leverage the great talent they can’t get there and also pay a reasonable price. Other companies are still learning this new strategy. They have to learn a few things to get comfortable with it. This article will share many best practices and help cut some corners to faster results. But first, let me explain this talent gap a bit more. We can find talented UX designers anywhere around the globe. An estimated 2-3 million people are working in the UX profession right now. Even the conservative estimates count more than one million UXers around the world. Big tech hubs and major cities have a higher density of this talent, but also greater competition for them. With the rise of remote work and the housing problems of the megacities, the best people no longer have to leave friends and family behind to pursue professions elsewhere. Even smaller cities have great talent pools now. In many places around the globe, you can hire world-class talent for less than half of the price as in San Francisco. And these people don’t just work on the same professional level. In many cases they work on an even higher one, and do so much more humbly and diligently. While it became super hard to hire great user / customer experience designers in four to six tech hubs, hundreds of mid-size cities can offer even better people with much smaller egos. Of course we can’t just go to a random city and start hiring people there, so smart people look around for local UX agencies and hire UX teams from them. These UX agencies usually nurture the local design ecosystem. They train people, hold events, publish articles and know everyone in town. They have the advantage to hire the best people locally and assemble different teams working for tech companies around the globe. Using these UX agencies gives you access to a global talent pool. The Valley doesn’t advertise this strategy widely, mostly because companies don’t want to hurt the pride of their local teams. But the fact that literally all of them are doing it shows a clear trend. I expect it to become a well-discussed strategy over the next few years. Why do the best SF companies work with remote UX teams? So to sum it up, I collected the most important reasons why many companies in the Bay Area trust companies located in other cities or countries to help them with UX and UI design. If you are considering a UX agency outside of San Francisco, you should have many questions about how to do it right. The following sections will go through the most common questions and I will try to answer them. Or if you want to cut it short, contact our UX agency right away to start talking about your product. Just click here. This doesn’t just count as a simple lie, but it borders on racism. I won’t go in deep on what makes this statement so wrong on so many levels. If someone wants to build a successful business on an international scale, then they have to leave these stupid beliefs behind. As a counterexample, let me mention our team, UX studio. When you hire us, we first fly to your site and spend a few days with you. Then we repeat this every two or three months. This just comes as a must to make remote collaboration work. At UX studio, we will assign you a dedicated product design team, working full-time on just your product. It usually surprises our clients how deeply we understand their business and how much we care about their product. From the moment you hire us, your success counts as our success as well. In some cases, the problem comes not in that we don’t care, but we want to go faster and further than our partners’ internal teams. Can we talk really honestly here? Internal design teams, especially in bigger organizations usually get a bit lazy over time. So many internal processes and rituals bind their hands. They also have to attend so many meetings. External UX teams have more freedom. They can use it to move faster, question the status quo, and bring in results at light speed. Experts in remote collaboration usually comprise these teams, so they really know how to keep things on track. It might sound paradoxical, but collaborating with a dedicated external team often comes easier than with a busy internal one. Myth #5: A remote team won’t understand my business and product deeply enough. Design requires frequent feedback and external views. Working on the same product’s design for many years will trap you in the same mindset. This will make it more and more difficult to see it from an outsider’s perspective, as your new customers do. For this reason, the best designers don’t work on a single product for more than a few years. Getting to know new industries, products and businesses quickly also makes up part of the design profession. Designers think about how to get a deep understanding of your business quickly. If I were standing in your shoes, I would hunger for the perspective an external designer can provide. So now let’s check how to choose a great UX agency to hire. 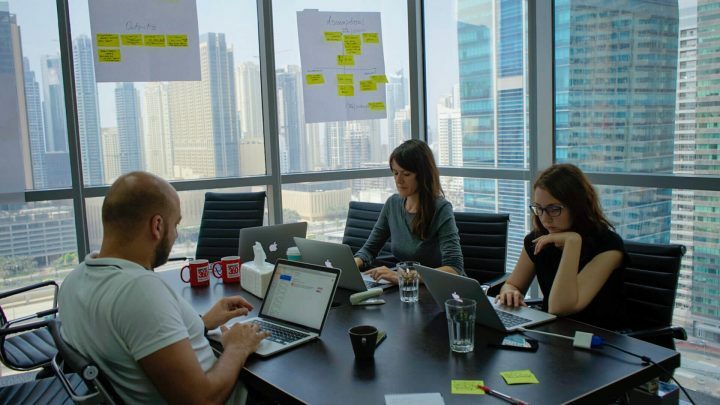 How to select the best UX firm globally? 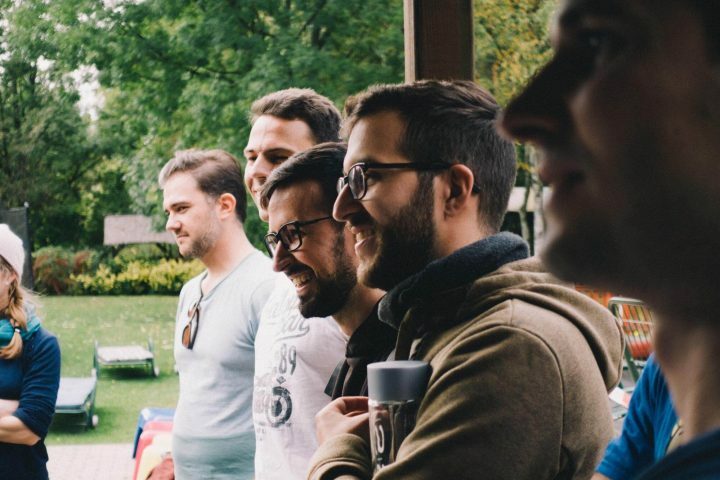 So how can you find a great UX partner you can trust, and who will help you to grow and support your design team all along the journey? I would do it like this if I had to do it now. First, look around and google UX companies. Check out some of their websites. Many people just ask the design firms their friends have suggested. That can work OK, but they might not provide the right fit for you. So start with a search, open up a few websites and contact a few companies. I would check these four things on each company’s website before contacting them. 1. The UX company should employ more than 15 and fewer than 150. Definitely don’t work with freelancers, as they can disappear anytime and leave you with a half-baked product. Also, take caution with companies of up to five or six team members. Usually, just freelancers with a nice looking website make up these. Look for a real UX firm with stable operations, a great culture, and internal processes in place, and one employing at least 20 people. This constitutes a team big enough to provide you the resources you need. 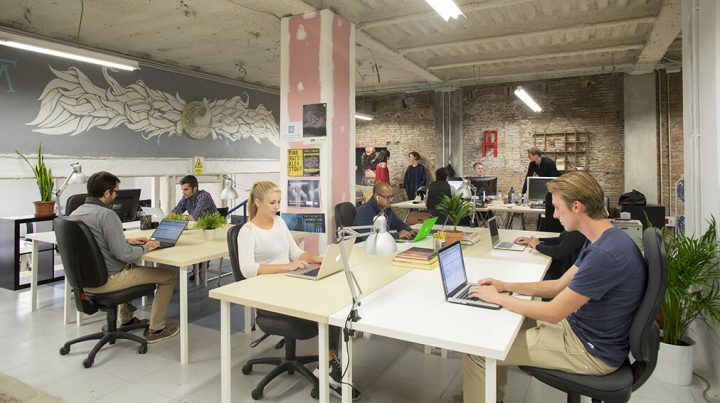 They can guarantee success and scale with you while maintaining the agility of the startup world and friendly culture. Also, skip big companies of more than 150. These corporates usually don’t have the right culture anymore. They may also have overly rigid internal procedures. Although 150 people don’t count as a huge organization, design teams this size usually have already lost their power. 2. They should have at least one really famous client. Many people often overemphasize this. Just because a company hasn’t worked with Google or Facebook before, they can still provide awesome world-class designers. Check if they have at least one great name among their clientele. If you see at least one company you know and trust, go ahead and don’t worry. If not, that signals that they have probably just started out. 3. It’s great if they are evangelists who teach and publish design. As I said earlier, the best UX agencies don’t just work on digital products but also support the design community. When checking their website, look for a book they have published, a course they teach or a blog where they publish frequently. 4. They should present case studies with actual UX process and design decisions. One thing you will find on almost every design studio website: case studies. When you look at them, don’t just check the nice pictures. Look for their design process and design stories. What challenges did they have to solve? How did they do it? Having more than a few lines of PR text in addition to real design decisions they made during these projects indicate you’ve found great people to work with. 5. They should form a friendly team. Don’t forget that you will spend a lot of time with these people. Times will come when all of you will feel under pressure. You’ll handle it much better when you can get along well. So once you’ve checked their website, reach out. Send them an email or fill in their contact form. When you do this, you can provide some basic information about your product and company. This helps the agency check if you bring the right fit for what they do. Usually, agency people keep in touch with many companies, and they know if things are going well. If they don’t see the right fit for what they do, they will simply refer you to someone else. An introduction of yourself and your role within your organization. Two or three short paragraphs with this information will easily put you on top of the priority list of any UX agency. After reaching out, expect an answer in a few days. Then you can schedule a call with them. During the call, you will learn more about how they work. They should also ask many questions about your product. After the call, the agency will send you their prices or prepare a proposal for your project. Based on that, you can decide to hire them or not. Ready to do this? Contact us here and we and will get back to you shortly. Now that I’ve told you so much about where to look for great UX agencies and how to hire them, I would like to introduce you to our team, UX studio. 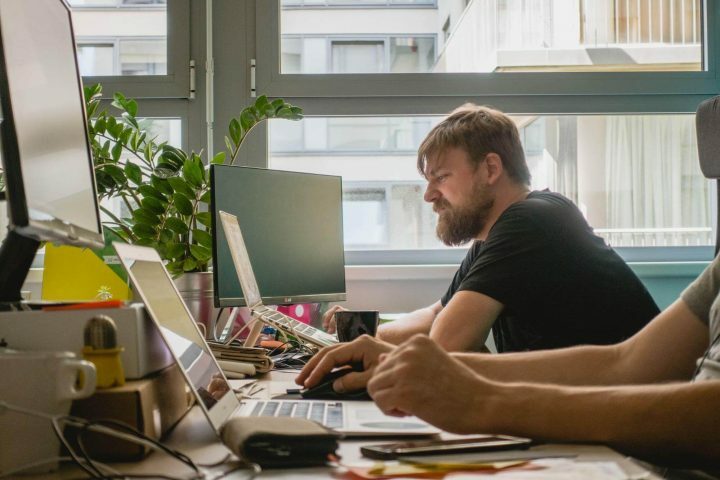 We make up a 35-person UI/UX design firm based in Budapest, in the heart of Europe. Many San Francisco companies hire us as their long-term UX partner. We usually delegate small design teams to our clients with a user interface and experience designer and a UX researcher, who will work alongside your product managers and dev teams. This small product design team works exclusively on a specific part of your product as a full-time extension of your internal team. Over the years, we have mastered working with companies in the Valley. When we start our collaboration, we’ll visit you on your site and do a kick-off workshop. It usually takes one or two whole days and requires your active participation as well. During this workshop, we can get to know each other quite well. This lets us then speed up our common work. We meet again with our long-term partners for a few days every two or three months. Our team can visit you or we can host you in Budapest, your choice. After the kick-off, we’ll work in week-long sprints synced with your internal teams. We will communicate very often, sharing everything instantly. We’ll frequently ask for your feedback or input as well. We will have some time zone differences, but you’ll easily find us each morning. Most of the product teams we have worked with loved that they found great new design artifacts in their inbox each morning. 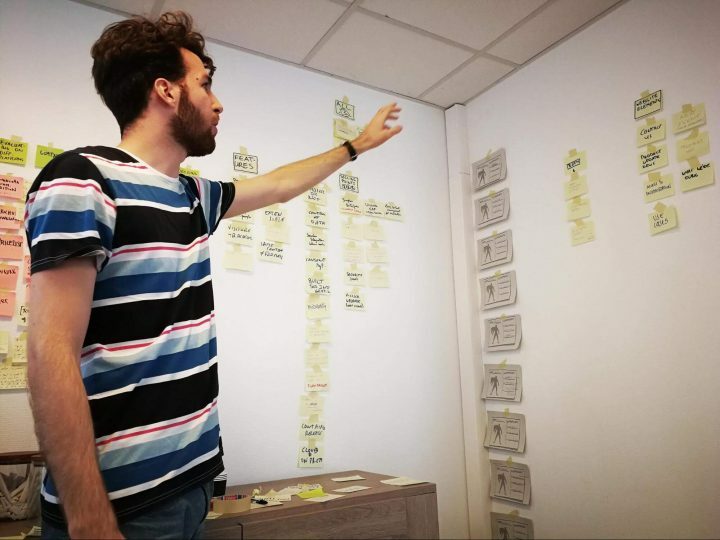 One day you’ll receive a prototype for a new feature, and a few days later, a report on its usability tests, then a modified version, and so on. Naturally, with all the frequent meetings and online communication, you will have full control over what we work on and which direction we go. Most of our clients get comfortable with this, and after a few weeks, they just let us run the collaboration. All of them enjoy the fact that they don’t have to “manage” us. They just have to provide the necessary input and feedback when we ask for it. As for clients, we have worked with some pretty big names – like HBO – but also many smaller startups. We have clients from San Francisco to Paris and Shanghai. We have published a best-selling book about digital product design and development, and hold our own UX design course every six months. And reading this blog, you count among our more than 30,000 monthly readers in the UX world. Besides helping our clients with exceptional UX design, we have also built our own product. We call it UXfol.io, a UX portfolio platform for designers. Not just book-smart consultants, we know what we’re talking about: We build our own products with the same methods we will use with yours. We have also gained a name for our company culture. We keep finances and salaries transparent within our team. Also valuing self-management so much, we give our designers great freedom and great responsibility. I could write many other pages about how we work, but I don’t want to waste your time. Also, we have already shared most of these stories on this blog. So if you need a UX agency, and you think we might make a good fit for you, just send us a short message on our contact form. We will answer you soon and set up an introductory call, no strings attached. It would bring us great pleasure to meet you and to get to know your UX challenges better. So let’s talk!